Drones nowadays have a great popularity, in the beginning, they were a lot expensive than now. A lot of Chinese manufacturers appearing on the market thus lowering the price of these flying toys. 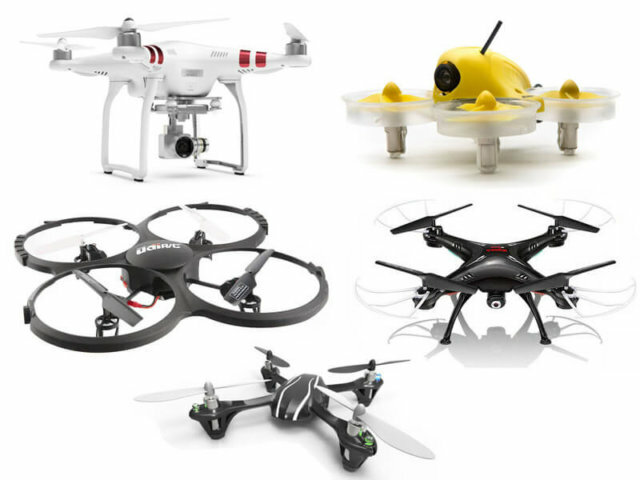 If you want to venture into the quadcopters world, I made a little comparison to find out what are the Top 5 RC Quadcopters for Beginner 2018. Your first task is to decide on what kind of purposes do you want to use your flying machine. You simply want to learn the basic flying controls or want some action with a fast FPV (Frist Person View) drone, or do you need a drone with a camera that takes stunning photos and video shot from an aerial view? Well, I covered all these aspects and compiled for you a Top 5 RC Quadcopter comparison from the total beginners to the little-advanced drone pilots too. I forgot to mention that all these quadcopters are affordable in spite of the fact that some have premium features they still worth their price. As a total beginner, you want to familiarize with the basics of piloting an RC Quadcopter. Probably you will crash with these quadcopters more than once, and you don’t want to spend too much money on expensive drones just to learn flying them. As a learning curve, you want to start with the basic controls, even if you don’t have a camera it will perfectly fit the task. Then if you want to learn the acrobatic stuff, you need to opt for an FPV drone where you learn in an advanced mode the skills of maneuvering completely manual your quadcopter. The more expensive camera drones have all kind of stabilization and obstacle avoidance systems. It can be perfect for newbies, but if you somehow manage to crash them, you will regret the money you paid for them. So let’s see what will start with. The X4 from the Chinese manufacturer is a perfect pick to start with. 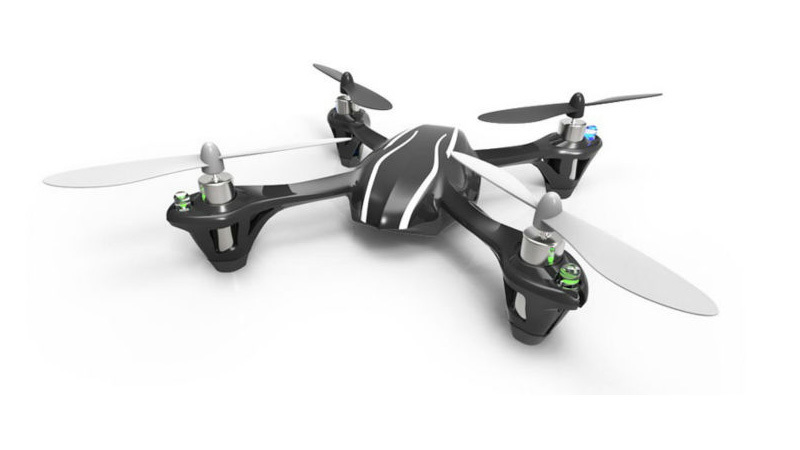 It is a lightweight yet very durable quadcopter. 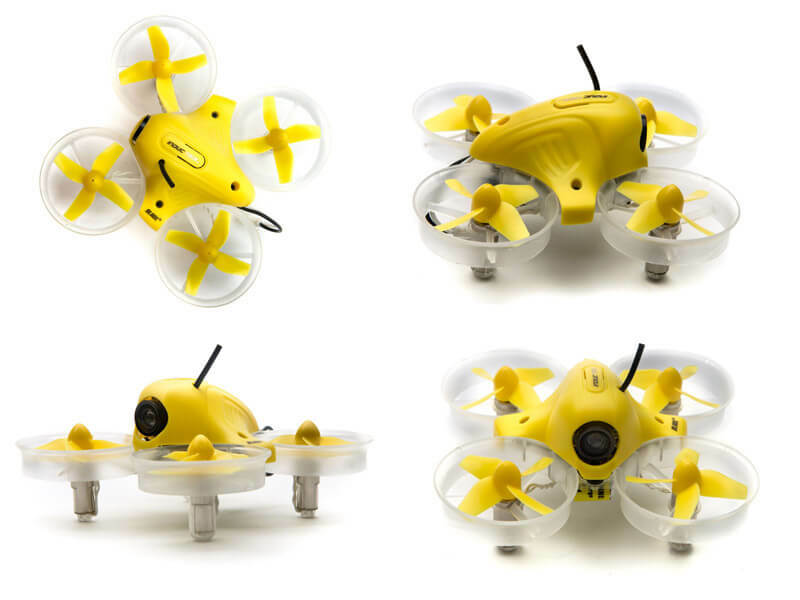 With this little drone, you will perfectly learn the basic flying skills. The frame of the body is tough so you don’t have to worry about crashing this little beast. Yes, it is a beast because it is very responsive and agile. It has no camera but that is not a big minus if you think about the purpose of this drone. You can exercise and play with this drone at about 6 to 8 minutes before your battery is running out of power. Hubsan X4 (H107L) has a nice Advanced Flying Mode. In this style, you can learn some basic racing drone skills, if you ever wondered to venture into this area. The control distance of Hubsan X4 is about 50-100 meters. Unfortunately, Hubsan X4 (H107L) has no blade guards, but in overall experience is a great, and agile beginner drone, for both indoor and outdoor usage. Price: $37. 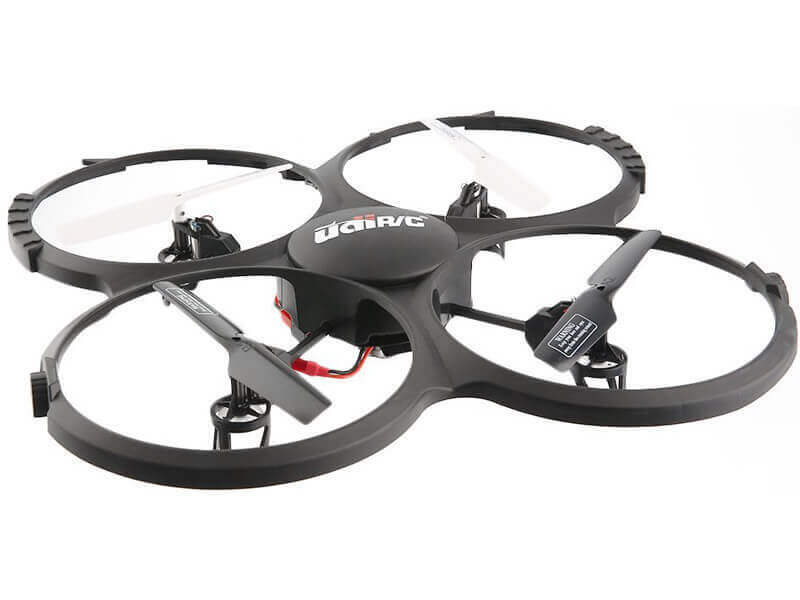 The UDI 818A done is equipped with an HD camera that lets you make aerial photo shots or video footage. At first sight, you will notice that the blades are surrounded by a protective guard made from elastic plastic. This will ensure you that crashes won’t make a big deal for this quadcopter, even the collision with trees and walls won’t have any damages. This model is more expensive than the previous ones that were under the $100 price range. If you are pretty familiarized with the flying experience and you can control quite well quadcopters, you want to try out an FPV drone. Blade Inductrix FPV RTF is a perfect choice for beginner FPV pilots. It is durable, lightweight and really powerful. It only flies about 4 minutes, but strong motors consume more battery. With an FPV google or the FPV monitor, you can learn out of the box how to pilot through the eyes of the drone, the camera. 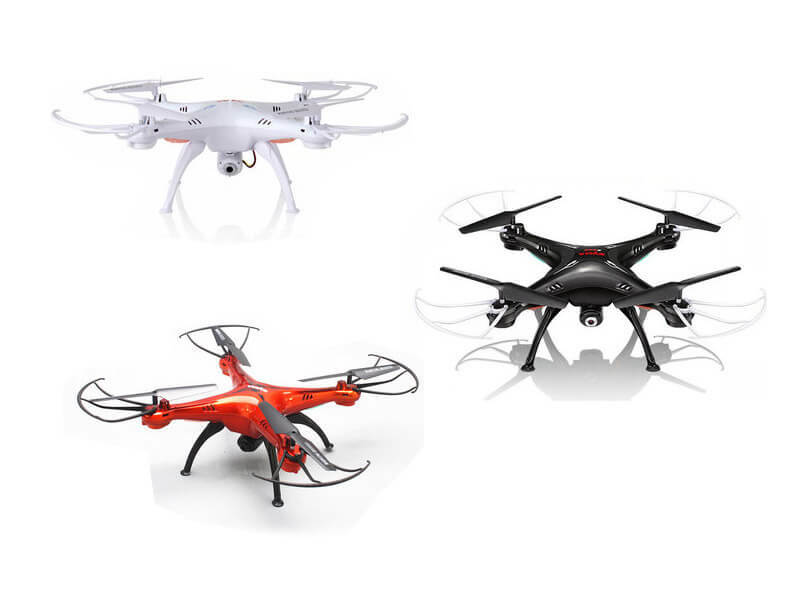 This quadcopter is much bigger than the previous models. Syma X5SW can be a perfect entry-level drone if you are into aerial photography or videography. It has some extra features, like FPV functionality, that allows you to see the camera picture right on your smartphone via Wifi. The live feed can help you to find the perfect shot angles from the air and also to have an overall aerial view. Syma X5SW has all the functionalities that this segment can offer. Headless mode, one key return, one key 360° roll functions, 6-axis flight control systems and others. 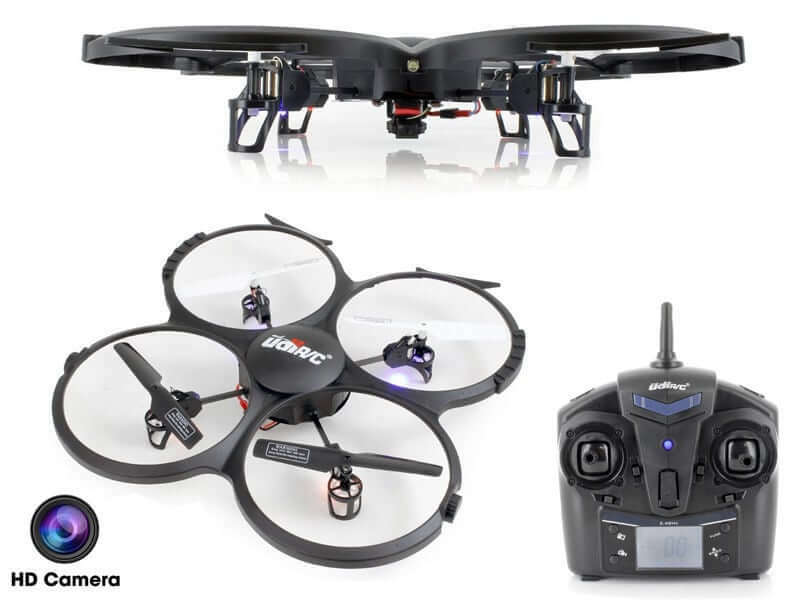 Syma X5SW can be a perfect entry level quadcopter for those who seek more stability and FPV functions. Price: $52. This is the only drone that stands out the line. 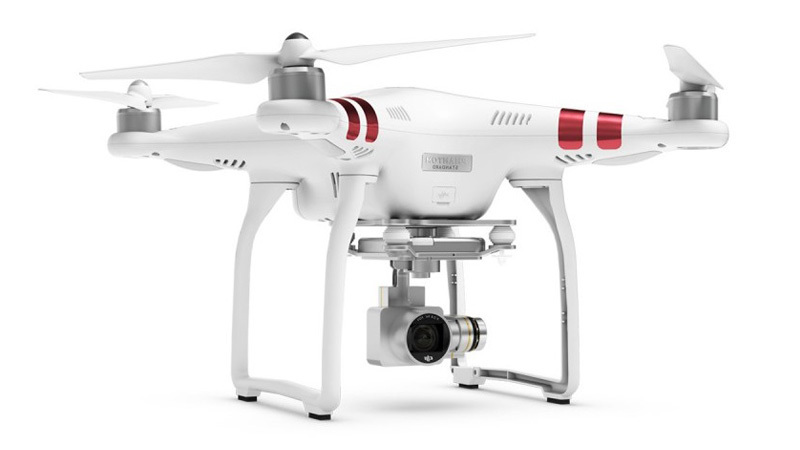 DJI Phantom 3 is more expensive than the earlier models but has more advanced features. If you are serious about making an investment in a drone like the DJI Phantom 3, I can assure you that the DJI models have their value. DJI Phantom 3 can be a long-term partner if you use properly. It is very easy to fly with and very stable. It has a flight time of 25 minutes on average. The camera is able to shot footage at 2.7K. It has a 3 axis stabilization system, GPS assisted flight features, Follow Me and Waypoints mode, FPV functionality an many other advanced features that make the DJI Phantom 3 a perfect entry-level drone in spite of the fact that its price is not in the affordable range. The drone market is really crowded, a lot of Chinese manufacturers, that come out regularly with new models. It is really hard to choose the right quadcopters for your needs. If you choose according to the criteria put in place be your preferences, you will surely find the perfect drone for your needs. The main aspects of choosing the right one are durability, easy to handle and to be affordable. If you want to dive in a little bit more what are the easiest to fly with drones, you can check out this review of some interesting picks.